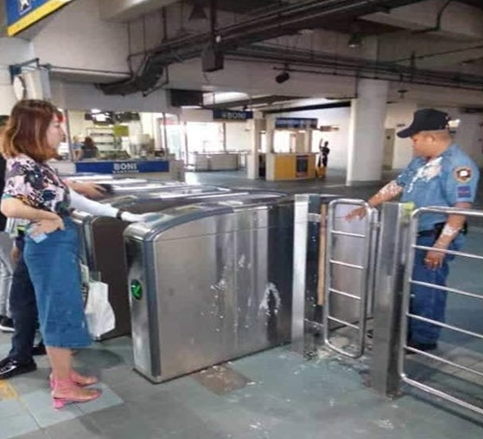 Following to the recent bombing incident in Mindanao, the Department of Transportation-MRT 3 had implemented precautionary measures for the safety of its passengers. Travelers are not allowed to bring any form of liquid while riding on the train, however special cases will be validated and approved by the security and police in charge in the area. However, it seems that the policy doesn't amused travelers. A Facebook post earlier had gone viral showing a foreign woman confronted the police officer and even thrown her drinks to him. 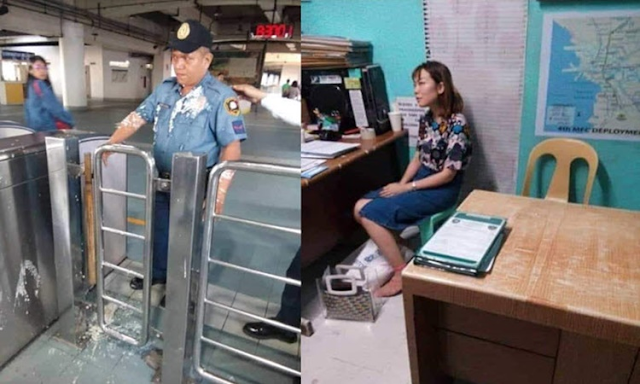 The foreign lady was brought to the police station after disregarding the policy and doing the unacceptable behavior towards the officer on duty. It could be seen on the photo a splash of drinks on the uniform of the officer.People started to react badly criticizing the lady after learning the incident. The DOTr-MRT 3 has appealed for the understanding of the public on the security implementation of the liquid ban. Noting that bottled drinks, water and any liquid substance can be mixed to form a liquid bomb.